Manga Monday: How deep does this conspiracy go? More and more of the Survey Corps appears to be hiding a monstrous side in Attack on Titan Volume 10. 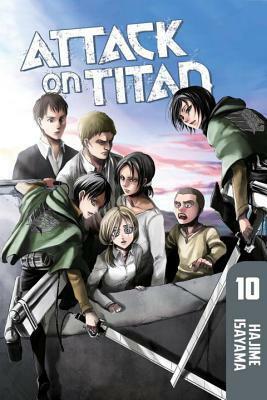 Note: Attack on Titan Volume 10 is part of an ongoing series. Check out the review for Volume 1 here, and Volume 9 here. Otherwise, read on!